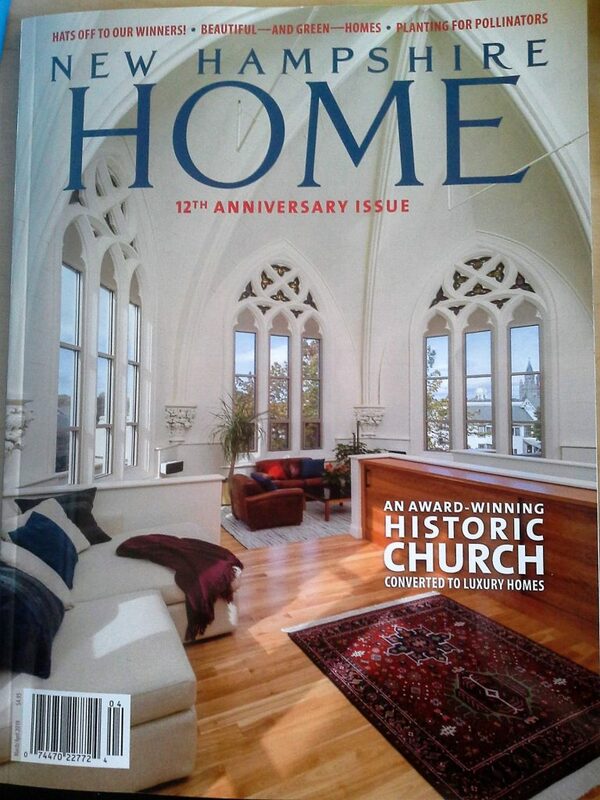 Our historic renovation project (Bienvenue Condominiums) landed on the cover of the March/April issue of NH Home Magazine. 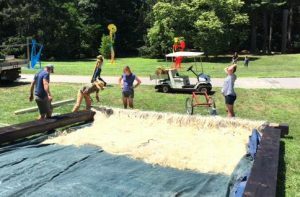 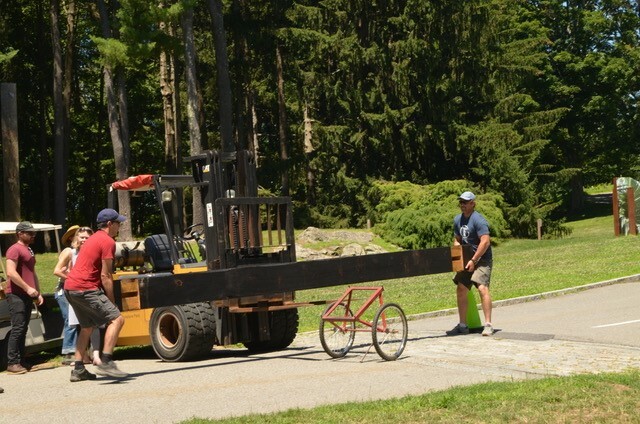 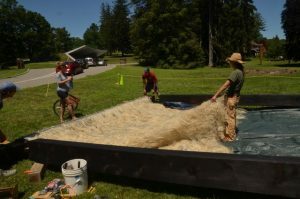 Having an awesome day at the deCordova Museum and Sculpture Park with Eliot Lothrop of Building Heritage, helping environmental artist Nancy Winship Milliken on her newest installation. 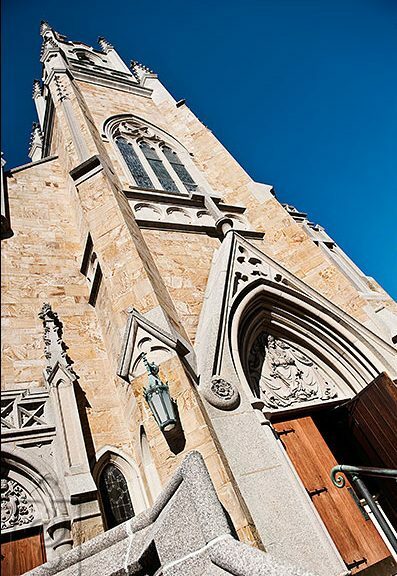 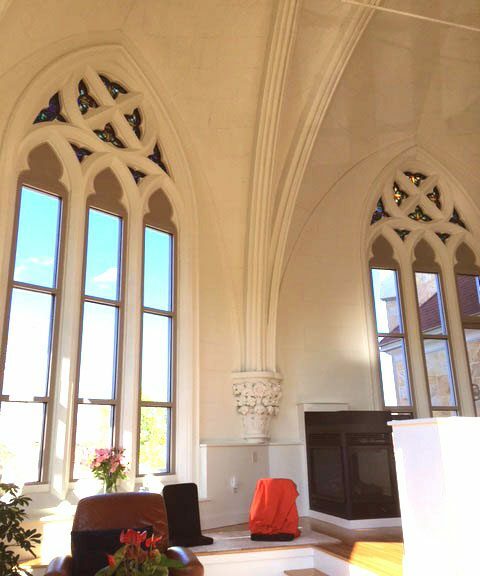 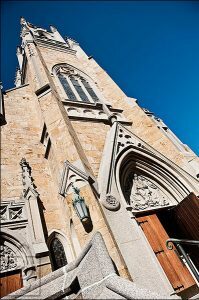 Working with developer Jon Chorlian, John Jordan designed these high-end condos in the challenging space created by the deconsecrated Sacred Heart church. 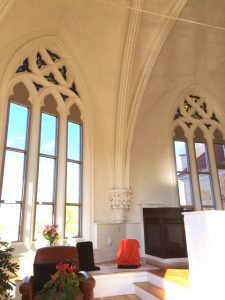 The stunning results of this adaptive re-use won a 2018 Preservation Achievement Award from the NH Preservation Alliance.